What is the Playkey decentralized cloud-based gaming platform? Playkey is a game-virtualization service dedicated to providing gamers around the world with the resources of a distributed network of powerful home computers (“miners”). The service is aimed at owners of old or low-powered PCs that can not run state-of-the-art games. With this service, owners of weak PCs, laptops, and MacBooks can play modern games on their own devices. The games themselves run “in the cloud” on the hardware of the miners. What’s the point of bringing cryptocurrency and blockchain technology into Playkey’s service? Costs for gaming hardware are growing year by year. Games are becoming ever more demanding. And it makes sense that cloud services keep getting more popular. In the future, these services may run into an acute shortage of space on servers for all those who want to participate. Now Playkey is renting hundreds of servers from hosting providers. There aren’t many servers with GPU and they cost a lot, so we lease them. The cryptocurrency and blockchain technology in Playkey give fantastic opportunities for scaling, decentralization, and an accelerated transition of gaming to the cloud. Users will get the chance to independently create more and more cloud servers, as well as a reliable method of making deals between the seller and the buyer, based on smart contracts and excluding intermediaries. P2P technology will allow owners of high-performance video cards to earn more money than from cryptocurrency mining, while allowing gamers to play their favorite games anywhere on any device connected to the Internet, for a small fee. On what platform is the crowdfunding campaign being done? The crowdfunding campaign is being conducted as an ICO (Initial Coin Offering). PKT tokens are being issued on the blockchain platform Ethereum (https://www.ethereum.org/) using the ERC20 standard. I want to buy PKT. How can I do it? Now that the ICO is over, you can buy PKT on exchanges. You can find an up-to-date list of exchanges on our website playkey.io. Also read detailed and user friendly guide how to buy our tokens. For decentralized exchanges you need an ETH-wallet. We recommend using MyEtherWallet (MEW) to do this. Go to the MyEtherWallet website: https://www.myetherwallet.com/. Make sure that you access the website via an HTTPS protocol. On the “New Wallet" tab, enter the password that will be used to access your wallet (create a strong password using uppercase and lowercase letters, numbers and symbols). Click on the “Create New Wallet” button. Do not forget this password! If you lose your password, you will lose all ETH and PKT stored in your account. Click on the “Download Keystore File” button. The file will be downloaded to your computer. This is a digital signature file for your wallet. This file contains your private and public keys and is required every time you want to access your account. Please note that you won’t be able to access your account without this file and the password from the previous step. If you lose one of them, you will lose all ETH and PKT stored in your account. Click on the “I understand. Continue” button. Click on the “Print Paper Wallet” button. Save or print the data file. Do not share your private keys with anyone. The private key is an analog of the PIN code from your bank card. If anyone obtains your private key, they will have access to all of your funds. Go to the «View Wallet Info» tab. Select the “Keystore File (UTC / JSON)” item. Click on the “SELECT WALLET FILE” button and select your keystore file. At the bottom you will see your wallet info. Copy and save your address, which is in the "Your Address" and "Account Address" fields. I bought PKT, but I don’t see them in my MEW wallet. What should I do? PKT tokens appear in the “Token Balances” section. On which exchanges will it be possible to trade the tokens? Why does the token have the value it has on exchanges? Unlike during the token sale, the value of the tokens can be conditioned by many factors, including mechanisms of supply and demand on the market, the availability of a product ready for commercial implementation, and many others. There are no major fluctuations on the market right now, nor is there a large quantity of PKT. Many people prefer to hang onto their tokens until PKT is released on major exchanges or its value goes up. Right now the ICO is over and the process of developing the product has begun. PKT will therefore not be considered a utilitarian unit of calculation within the ecosystem until its factual appearance (the end of 2018 according to our plan), and the demand is not increasing on a daily basis. Right now what PKT represents on the exchanges is an opportunity to stock up on the tokens at a comparatively low price for the purpose of strategic, long-term investment. We discussed why it’s better to see PKT as a long-term investment in our blog. What is the team doing now that the ICO is over? We’re summing up the results of the year. For us this means, first and foremost, ensuring the high-quality completion of all processes connected to closing the ICO in accordance with the road map. This includes negotiating with exchanges, resolving personal requests from participants in the bounty program, and calculating and providing tokens to them. Also, we haven’t forgotten about our primary product, playkey.net, which is running as before for the time being. When will I be able to test a decentralized version of Playkey? Closed testing will be conducted around in the middle of 2018, and open testing in the third quarter of 2018. Requests for participation in the testing are already being taken. How soon after the ICO will the project open up to players and miners? The planned launch time is 10 months after the end of the ICO. What use is this to a miner, if he already has a powerful PC and can play top-of-the-line games on his computer? What he can spend tokens on, if he does offer his computing power for rent? The miner will be able to sell the earned tokens on an exchange in return for other cryptocurrencies or fiat money (real money). He will also be able to spend the tokens to purchase Playkey game keys. I have a powerful computer. How much can I earn as a miner through your system? A miner’s income will depend on several factors. First, the amount depends on the computer: The more powerful it is, the more value it offers. Users are willing to pay more for such a computer. With the current Playkey.net service, you can apply the following calculations: 1 hour of gaming on ultra settings (GTX 1080) costs $1. Assuming that the server will be busy 12 out of 24 hours, the revenue after deducting the commission will come to about $10 per day. At the same time, there is still the opportunity to do the old kind of mining when users are not playing, and thus to receive additional income. So in any case the income will be higher than from the usual sort of mining. Why does a miner pay 25% to the Playkey Foundation? The Playkey Foundation will organize the work of the community of miners, refine the platform, and advertise the service and the miners’ servers. By what scheme are the revenues distributed among all participating miners? A miner’s income is determined by the terms of the smart contract with a specific user. So the more users play on a miner’s computer, the higher his income. A user will be able to select a miner on his own and conclude a smart contract with him on individual terms, or enable the option of automatically searching for a miner by key parameters, first of all by distance from the user and connection quality. How and at what exchange rate is fiat money exchanged into tokens when the user buys a subscription? Will a miner be able to accept funds in fiat money? The price for the service will be shown also in the user’s normal fiat currency (rubles, dollars, etc.). During a payment for the service, fiat money will automatically be converted on the exchange into PKT tokens at the rate on that exchange (without user involvement). These tokens can then be used as payment for the service. This system creates the token’s liquidity on the exchange and shows the demand for it. A miner can only accept payment in PKT tokens, which can then be sold on the exchange. Where does the miner download games and how are the keys activated? Playkey provides a list of games supported by the application, and of their installation files. A miner decides which games he wants to rent out on his computer, and installs them. Or he selects automatic mode, whereby Playkey autonomously analyzes demand and manages the games on his computer to maximize his profit and, accordingly, that of the service. Game keys are purchased by users and they are activated the same way in games, the only difference being that the game is launched at the miner’s computer. Keys can be purchased either on the Playkey website or in any other way at the discretion of the player. Are there plans to make the software open-source, since some people think that open-source solutions develop faster and more efficiently? Part of the software related to blockchain technology will be open, but the current version of the Playkey product will be closed, because this is specified in the shareholder agreement with the current venture-capital fund, which is a shareholder. However, the current version of the Playkey product can be open if the current investors agree to it. How will the problem of delayed transaction confirmation between a player and a miner be solved? There are plans to develop an “internal” second-level blockchain for instant transaction confirmation, with subsequent confirmation in the “common” blockchain. In this case, the risks of non-confirmation of a transaction (of the player using the service for free) would go to the Playkey Foundation. We will also watch for new solutions to this problem appearing on the market, since the problem is shared by all projects that use blockchain technologies. 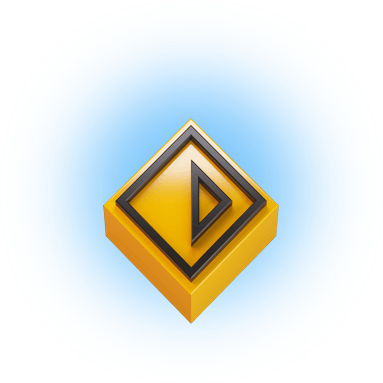 The Playkey Foundation is a management company within the Playkey Ecosystem. From the legal point Playkey Cayman is carrying out the role of the Playkey Foundation. The primary goal of the Foundation is to develop an open gaming ecosystem that users can find value in, and simultaneously supply miners (and other service carriers) with an open and sustainable platform to broaden, deliver, and enhance those services, as well as attract users. Read more in the Whitepaper. How and when will I receive my PKT? To receive a gift of 1 PKT, you need to subscribe to our Telegram channel. We’ll send you 1 PKT within four days after you fill out the form on the website. Each Telegram account and ETH wallet can receive a gift only once. The wallet must support the ERC20 standard (e.g., MyEtherWallet). The wallet must not be an exchange wallet (i.e., wallets that were created on exchanges won’t work). Carefully check the wallet’s address before submitting the form. One PKT will be sent to the provided address. It will not be possible to change the address or resend the gift. Please carefully read this Privacy and Data Policy of Playkey. If you do not agree to this Privacy and Data Policy and do not consent to your data being processed, do not click the “I accept the Privacy and Data Policy” checkbox and do not use the Service. By clicking the checkbox, you agree to this policy in its entirety and to the processing of your data. The protection of the personal data of all Persons registered on the website is of paramount importance to Playkey. For that protection to be ensured, we provide you with the following information with due regard to the General Data Protection Regulation. The Regulation being a legal act adopted by the European Union and effective from May 25, 2018, covers a broad range of issues and states its aim as being to provide people with more efficient control over their data. Playkey will respect the rights of all Persons registered on the website under the applicable data-protection laws that Playkey complies with in its activities. This policy is an official document of Playkey that grants Users the right to use the Service. This policy sets out the procedure for processing and protecting information on individuals (each such individual, a “User”) using the services, information, and the programs (including loyalty programs) at www.playkey.io (the “Website”). Maintaining confidentiality is important to us as this policy states its aim as being to protect the rights and freedoms of individuals and citizens as part of processing their personal data, to protect the rights to privacy, and to ensure protection of personal data against any unauthorized access and disclosure. This policy governs the processing of personal data (personal identifiable information and any other related information) about individuals who use the Content or the Company’s Service. This policy extends to the processing of personal data collected by any means, both active and passive, both online and offline, from individuals located anywhere in the world. if you consent, when registering on the Website, to your data being processed. Processing personal data of the Users is carried out with the consent of the subject of personal data to the processing of his personal data. Personal data is understood as any information related to a directly or indirectly determined or determinable individual (a subject of personal data) and which can be used to identify a particular person or communication with him. We may request your personal data whenever you contact us. Playkey may use any such data in accordance with this policy. The personal data may also include that additionally provided by the Users upon the request of Playkey with a view to discharging obligations to the Users. The personal data may also include that additionally provided by the Users upon the request of Playkey with a view to discharging obligations to the Users. When you involve other people in our events and activities of other individuals or invite them to communicate with us, the Company can collect the personal data you provide about these individuals, such as: first name, last name, e-mail address. Personal data of Users are stored exclusively in electronic media and processed using automated systems, except when manual processing of personal data is necessary in connection with the implementation of legal requirements. The personal data we collect makes it possible to send you notifications on special offers and various events. If you do not wish to be included in our mailing list, you can unsubscribe at any time by clicking the “Unsubscribe from mailout” link. From time to time we may use your personal information to send important notices containing information on changes in our terms, conditions and policies, as well as confirming orders placed by you and purchases made. If you participate in prize drawing, competition, or any similar promotional event, we use your personal data for handling those events. As data security is of crucial importance to Playkey, we take the appropriate steps to protect all personal data. Your request for the removal of your personal data may result in the services offered by Playkey being unavailable to you. Playkey must not transfer a User’s personal data to any third parties. The processing of the User's personal data is carried out without any time limit, in any legal way, including in the information systems of personal data using automation tools or without using such means. Playkey may transfer a User’s personal data if so required by competent public authorities on such grounds and in such manner as are covered by the applicable laws. In some of our email messages, we use interactive links to information posted on the Company's website. When users go through such links, before they reach the destination page on our website, their requests go through a separate registration. We monitor such "passing" data in order to help us determine the interest in specific topics and measure the effectiveness of our communications with consumers. If you prefer that your messages are not tracked this way, you should not follow text or graphic links in e-mail messages. Pixel tags allow us to send e-mail messages in a format read by consumers, and inform us whether such messages have been read. We can use this information to limit the number of messages sent to consumers or to stop sending them. The company takes precautions – including legal, organizational, administrative, technical and physical in order to protect the User's personal data from unauthorized or accidental access to them, destruction, modification, blocking, copying, distribution, as well as other illegal actions of third parties. When you use some products, services, or applications of our Company or add posts to forums, chats, or social networking services, the personal data provided by you is visible to, and can be read, collected, or used by other Users. You are personally liable for the provision of any such information. It means that if you state your name and email address on the forum, that information will be treated as public. Please take precautions when using those functions. When interacting with the Company, you can easily maintain your personal data and information up to date. We will keep your personal data and information for the period necessary to fulfill the purposes described in this policy, except when a longer period of data storage and information necessary in accordance with the law or allowed by it. We do not collect personal information from minors. If we become aware that we have received personal data of a minor, we will take steps to remove such information as soon as possible. We strongly encourage parents and other persons, the supervision of which such minors receive (legal representatives – parents, adoptive parents or foster parents), control the use of the websites by minors. Websites, products, applications and services of the Company may include links to the websites, products and services of the third parties. Personal data and information collected by third parties, which may include such information as location data or contact details, is governed by compliance with privacy policies of such third parties. We urge you to examine the privacy practices of such third parties. In order to make sure that your personal data are secure, we bring standards of confidentiality and security to employees of the Company and strictly monitor the implementation of measures of confidentiality within the Company. If you have any questions regarding the Company's policy or processing of personal data by the Company, you may contact us using the contacts for feedback. The users have the right to send their requests to the Operator, including requests for the use of their personal data, the direction of withdrawal of consent to the processing of personal data in writing, to the address indicated within General Provisions hereof, or in the form of an electronic document signed by an authorized electronic signature in accordance with the legislation of the Russian Federation, and sent by means of the feedback form. The Operator must process the request and provide a response to a User within 10 days from the moment of appeal. We may make changes to this policy at any time to further improve our data protection system. When we make significant changes to this policy, we post a notification to that effect on our website. This policy does not apply to actions and Internet resources of third parties.